One thing you need to know about me: I am freaking in love with Jeff Probst. For those of you not familiar, he is the host of the long-running CBS show, Survivor. But he also does things like write children’s books, direct movies, and he has even hosted a now-cancelled talk show. Which I flew out to L.A. to be in the audience for. Didn’t meet him, though, although I would have probably died on the spot if I did. Back to the children’s books. He wrote this little trilogy of stories geared toward probably fourth, fifth graders, branded to look like the Survivor series. 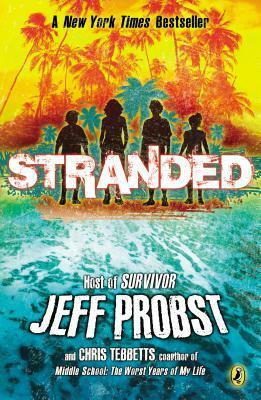 As my feelings toward Probst are such that if he wrote his grocery list and published it, I’d probably buy it, it’s no surprise that I picked up a copy of book 1. Keeping in mind that I’m definitely not the target audience for this book, and I can’t believe I’m about to diss on the great love of my life, but I wasn’t that into it. 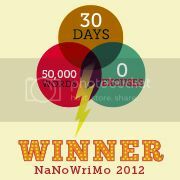 The book didn’t take me all that long to read, so it was no great inconvenience to me. It just felt kind of flat. You’ve got these four kids, half-siblings by marriage, a “blended family” as Jeff calls it. The boys have a bit of character development, but not much. And we don’t know a lot of the backstory of how the kids’ parents came to get married, how their family life was prior to the four of them being on a boat together, and subsequently being shipwrecked. I think if some of that had built up, I might have been more into it. I think that younger readers may like this story, because it is very plot-driven and describes a deserted island where there are no adults. Perhaps kids might find this possibility to be intriguing, or perhaps they might find it to be scary. With both male and female characters, this could appeal to both boys and girls – and perhaps they could identify with one of the four kids in the book. Jeff can still do no wrong in my eyes, and I’ll support whatever projects his name is behind. I guess I prefer him doing his thang on television rather than putting it down on paper. Sorry, man. I hope we can still get married.